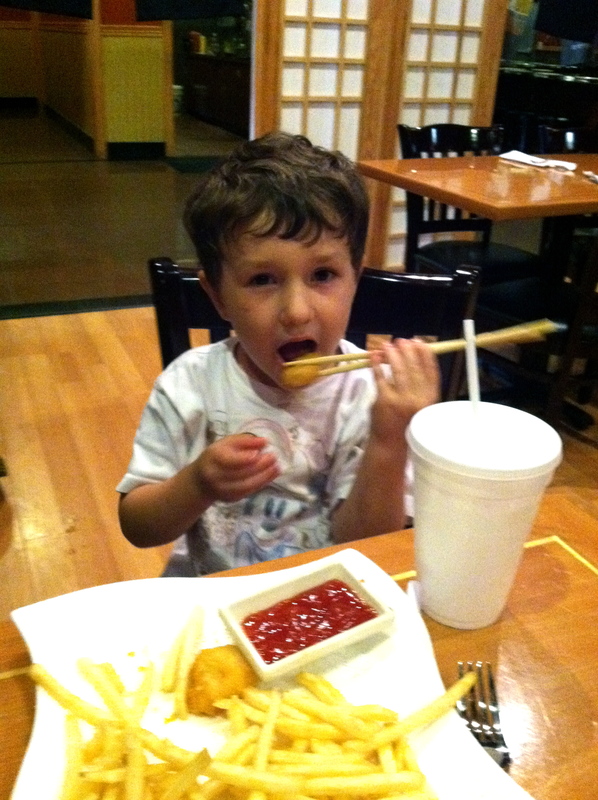 Yesterday, we ate out at a Japanese restaurant to celebrate Father’s Day. 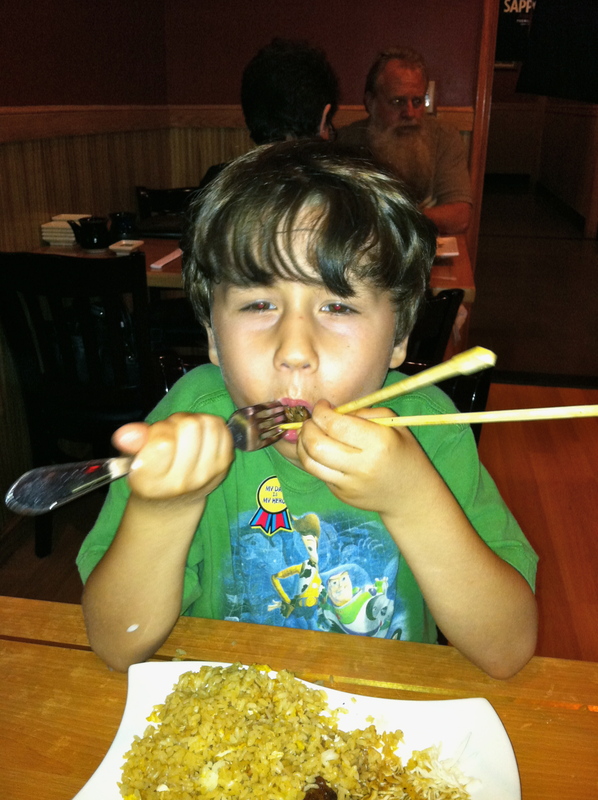 The best part about the experience was watching the kids’ various attempts at chopstick handling. (Sigh…) Did you check out his meal? I mean, why would you order rice and a wide array of vegetables at a Japanese restaurant when you could get nuggets and fries? Pshaw! Hey, whatever works, right? This boy can eat! He was so excited to have steak that he even attempted to eat the pieces that slipped from his chopsticks and on to the floor. Gross, I know. But, steak is a rarity in our kitchen, so I can’t say I blame him. 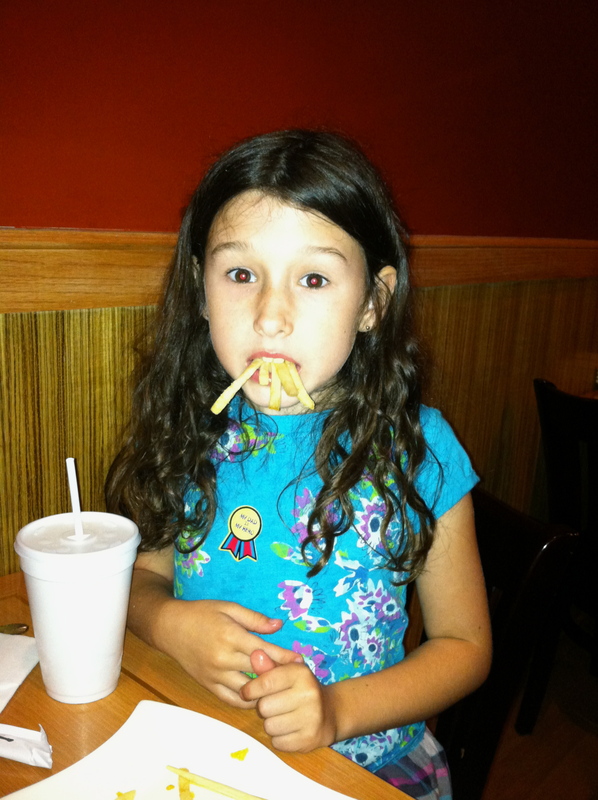 As for Ava…hmmm – she’s kinda got the whole “deer in headlights” look going on. I think I caught her off guard with this quick snap of my phone! And yes, she too enjoyed a plate of chicken nuggets and fries. According to her, they tasted almost as good as McDonald’s (which says a lot!). Well, at the very least, I can say my kids are consistent in the fact that they order American cuisine no matter what the setting and enjoy stuffing their faces. 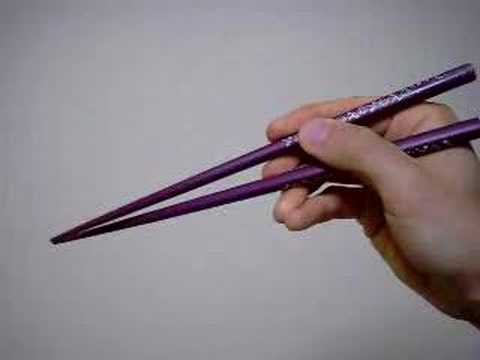 I actually managed my chopsticks quite well, but I’m a Medieval Times girl at heart…I prefer eating with my bare hands. It was a fun afternoon – lots of laughs and lots of good food! Garrett was brave enough to try a spicy tuna roll and shrimp sushi. Next time…eel and octopus! Looks like fun, and good for Garrett for trying somethiing new!